National Accreta Foundation has worked with numerous media outlets to bring attention to placenta accreta. 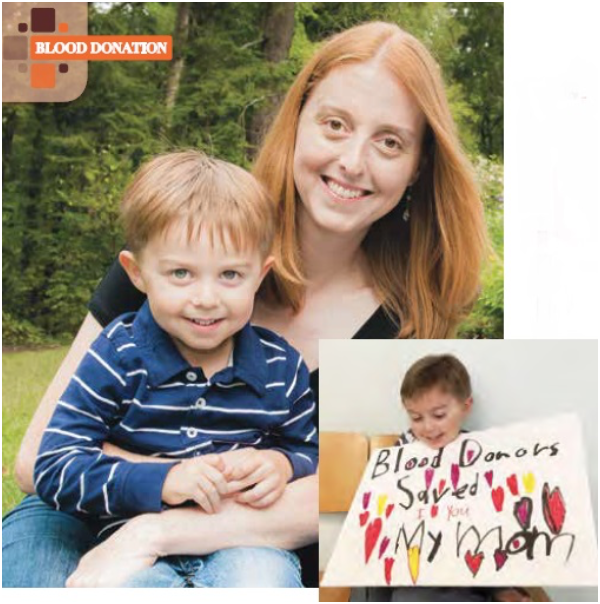 Julia Belluz tells Kristen's story about how Stanford doctors kept her and her son Leo alive. 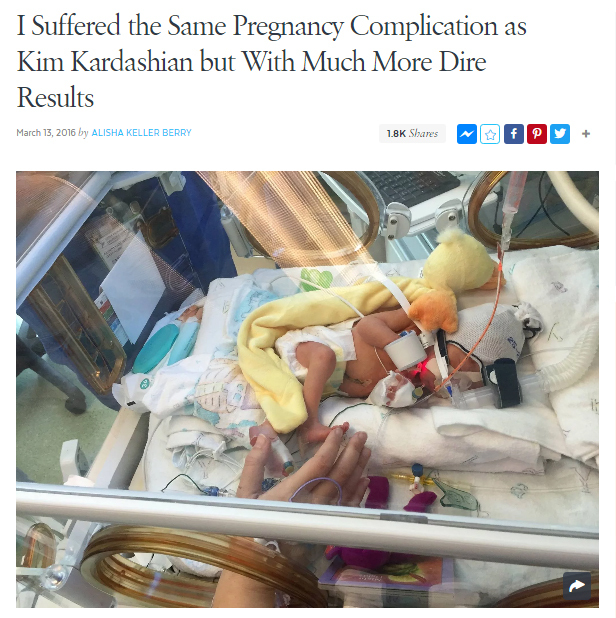 This wide distribution article spotlights the history of some of the patient safety guidelines that saved Kristen, including the work of Dr. David Lagrew, Dr. Elliott Main and all of the experts who came together to help the California Maternal Quality Care Collaborative develop the OB Hemorrhage Toolkit. Kristen Terlizzi is proud to be one of Patient Safety Movement Foundation’s 2018 Patient Advocates. A powerful video on her accreta story and advocacy work to reduce cesareans and #preventaccreta was showcased at the 2018 World Patient Safety Summit in London. NAF co-founders Kristen Terlizzi and Jill Arnold attended the event and participated in the panel discussion on Reducing Unnecessary Cesareans. Daniela Hernandez explores trends in accreta deliveries and highlights Kristen's story in this December 2016 article. People Magazine's Caitlyn Keating interviewed Kristen Terlizzi and her husband, Jeff. At 28 weeks pregnant, Terlizzi was told she had placenta accreta, a life-threatening condition where the placenta attaches itself too deeply into the wall of the uterus. Quartz’s Annalisa Merelli highlights Kristen Terlizzi’s 2014 percreta delivery while discussing the causes behind the United States’ sharp increase in maternal mortality and morbidity. The article explains the risks of C sections, low rates of VBACs in the United States, and increasing incidence of placenta accreta as a contributor to maternal mortality. Jill Arnold was interviewed by Molly Redden in this October 2017 article on cesarean rates and placenta accreta along with Dr. Elliott Main, Dr. Neel Shah and Dr. Flavia Bustreo. Redden highlighted the story of a woman from Mississippi named Carmen Walker who experienced placenta accreta after five cesareans during her sixth pregnancy. In their ongoing investigation into maternal mortality, Adriana Gallardo and Nina Martin quoted Kristen Terlizzi's advice on choosing a provider. When people ask me what was the hardest part of this experience, I don't hesitate: being away from my children for a month. I only was able to hold Annabelle a few times during her first month, because I was constantly fighting infections in the hospital and they wouldn't allow me into the NICU. 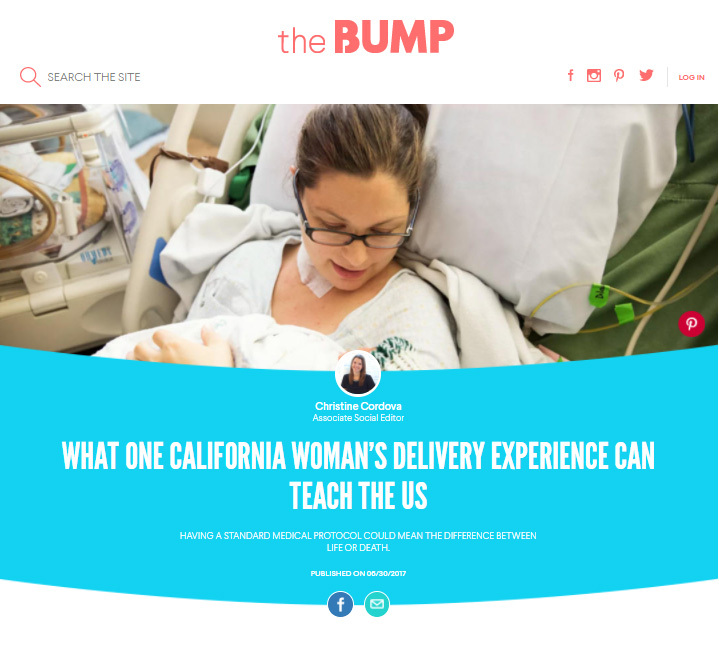 Christine Cordova, one of the editors of TheBump.com, interviewed Kristen Terlizzi for more information about her backstory and co-founder Jill Arnold about the creation of a non-profit dedicated to ending preventable accreta-related cases of maternal mortality and morbidity. Stanford Hospital profiled the combination of medical management and compassionate care involved in Kristen Terlizzi’s accreta delivery in this video showing how a severe maternal event can still have a positive patient experience.